I've made it no secret over the years that I love the 35mm focal length. I've owned quite a few different 35mm lenses, but there's one that has been out of reach for a number of reasons. 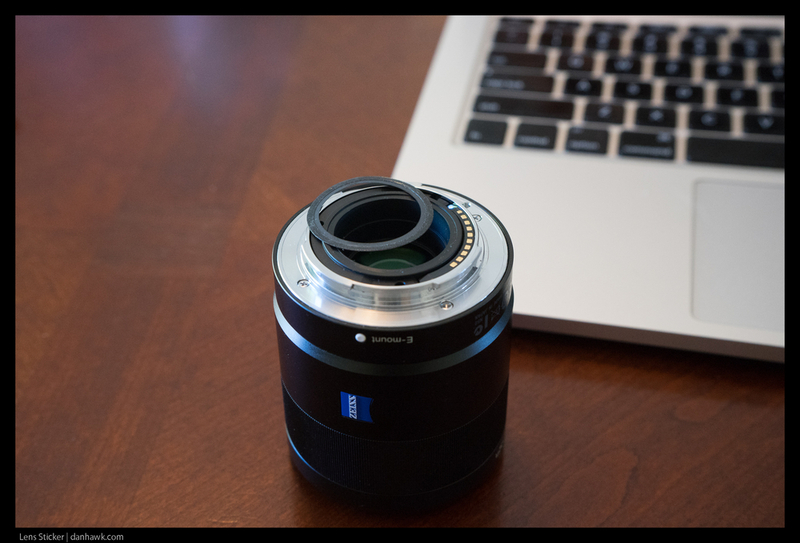 The fixed Sonnar 35mm f/2 that comes built into the Sony RX1 and RX1r. They haven't made this lens available for E Mount because the rear element almost touches the sensor and just wouldn't be feasible in an interchangeable design. I seriously considered this camera when I moved to full frame with the A7 last year, but as much as I wanted that lens the lack of articulating screen and EVF made the choice clear. As of today though, that's no longer the case. Sony announced the RX1rII and it's everything I hoped it would be. The backlit, 42 megapixel sensor that comes in the A7rII, the same beautiful Sonnar lens, a pop up T* coated EVF, and an articulating LCD. It even has the 399 point phase detection for imporoved autofocus. A few different friends have heard me say that if they made an RX1 with an EVF and an articulating screen, I'd figure out a way to get one. I'm pretty sure this camera could easily cover 90% of the shooting I do. They don't ship until mid November and the price is $3,300 USD. That's a lot, but considering you're getting everything but the 5 axis stabilization from the A7rII, and the exquisite Sonnar lens, I don't think it's too riduculous of a price. I'm looking forward to the hands-on reports and image samples. Obviously, I'm seriously considering reconfiguring my kit. If you are interested, you can preoder from B&H here. Amazon has a page up, but isn't accepting preorders just yet. I've had a few people express surprise when they find out that I didn't order and don't plan to purchase an Apple Watch. I'm the resident Apple enthusiast in most of my circles. I have purchased a new iPhone each of the last 8 years, get regular questions about what's coming out next, which Mac people should get and how to fix stuff that isn't working. I was certainly intrigued when it was announced last fall, and I admit that it truly is a beautiful device, even starting at the least expensive model – the Apple Watch Sport. So, let me make a small clarification. I am not intending to buy a first generation Apple Watch. I'm not sure that means I'll be preordering the second one, but I'll tell you why I'm holding out. In order to do that, let me tell you about the first generation iPad and iPhone. Apple introduced the iPad in 2010. I had been an iPhone user for 3 years already and was using a 2006 black Macbook. I was intrigued by the iPad, and had some funds available to order one, but I decided to wait. I was already beginning to save for a new Macbook as my current one was getting a little long in the tooth. I had already upgraded the memory from the stock 2gb to 4 and the 80gb hard drive was barely cutting it for managing the beginnings of my photography hobby. While I could think of things to do with an iPad in those first few days after it was announced, I also felt that it was likely underpowered and compromised. It seems funny to say that considering the specs on my main computer at the time, but the next February I bought a new Macbook Pro with 16gb or RAM and a 500gb hard drive. That computer is still my wife's computer today. In large part, the decision to wait came from my expereince with the first iPhone. Though it was enjoyable, it was missing so many of the key features that have driven its success and made it indispensable to me and so many others. The original iPhone had no 3rd party apps, no video, no cut and paste, no push email, no 3g data. Think about that list. I'd say 90% of the things I do with my iPhone weren't even possible on the first one. The original iPad had no cameras, a single core 1 Ghz processor and 256 gb of memory. It was nearly twice as thick and roughly twenty percent heavier than the second generation iPad 2. I held out and then bought an iPad 2 which had a dual core processor and 512gb or memory. I used it daily as my primary machine to write, read and browse until I upgraded to the iPad 3 for the Retina display. Apple still supports this machine and the iPad mini which is internally almost identical. I owned one of those for awhile too. Now before you label me a crotchety old man who complains when 5 year old devices stop being updated, let me clarify. I actually don't care about forward compatability that much because I upgrade more often than most people. What I do care about is the lack of really useful features in a lot of these Gen 1 products. Apple is a very forward thinking company, but it often feels like they don't know what the killer feature is going to be until it's out in the world, and then they optimize the second generation to suit. The Apple Watch feels a lot like the iPad 1, iPhone 1 and the Macbook Air 1. While we're at it, let's include the new Macbook. It looks beautiful, and is certainly showing us some great directions and possibilities, but I feel like it isn't there yet. I know I'm gonna want the one that has GPS. I know I'll feel like native, stand-alone apps will be worth an upgrade. I love the idea of a battery that lasts 2 days instead of one. What if I could leave the house without my phone because the watch has its own wireless data connection and real apps? I'd love to go running without my phone strapped to my arm and still have it track my full workout with GPS and share it to NikePlus. That's the Apple Watch I want. I'm willing to part with my money for something truly groundbreaking and useful, but the obvious things that are missing from this one make it a foolish purchase for me. I will want the version 2 that has some of this stuff and that means if I buy this one, I'll end up spending the same amount of money on a version that will likely be released pretty soon. Unfortunately, these Gen 1 products also have historically crappy resale value too. I'm still excited about what first Gen products do, but I'm aware of the difference between an iterative improvement to an already useful piece of equipment and a major disruptive first step. In five years, there will be a handful of hallmark features that will define the usefulness of the Apple Watch and perhaps even the way we use computing devices. I predict the first generation model won't be able to do most of them. It's pretty rare for a company to nail it on the first iteration. Thankfully the products are still interesting enough to draw a pretty big group of early adopters to help them design the next one. I used to think of myself as an early adopter, but upon closer self-inspection, I'm quick to buy iterative upgrades – even the more ambitious ones – but wary of completely new categories. So here's hoping the second Apple Watch blows the first one out of the water! Today, a story dropped about a lawsuit bring brought against AT&T over throttling data speeds for customers with unlimited plans. This part of AT&Ts response is classic. AT&T responded by calling the FTC’s allegations “baseless” and an intrusion into the normal network management required by telecommunications providers. The company also noted that it had alerted customers about the throttling, by sending e-mails or texts notifying customers that they had crossed pre-set limits and would experience slower data speeds for the rest of the billing period. I've been on a Grandfathered, Unimited plan since the first iPhone came out and can vouch for these monthly texts and the almost immediate crawl that the data transmission turns into shortly thereafter. So it's ok to be screwed out of something you paid for as long as you get an alert right as it starts? Unfortunately, I would guess that the grandfathered plans will be cancelled at the next upgrade cycle. Not Enough Space to Upgrade to iOS8? There have been quite a few conversations happening about how a distrust in Apple is causing lower adoption rates in iOS8. John Gruber and Guy English talked at length about it on John's podcast, The Talk Show. True, there was a widely publicized update shortly after iOS8 was introduced that bricked many phones before it was caught and pulled from the Apple servers, and there were many folks that were rather displeased with the major interface changes a year ago that were introduced with iOS 7. Even with these other issues, I think the problem has more to do with the increasing size of updates and the stagnation of Storage on iOS devices. Anecdotally, what I'm finding among my non-early adopter friends is an inability to update due to a lack of available storage space. Even those that don't have large numbers of apps are finding that the photos, videos and multi-media content on their phones are the main issue. While the message has been consistent among folks doing reviews in the Apple tech community that 16gb is too small in 2014, we're stuck with it for another year- and quite simply, this is the phone/iPad that most non tech folks (the vast majority) will end up with. For this very reason, I moved to the 64gb model this year. Until then, if you have an iPhone 5 or 5s, I would advise that you update for security and feature reasons. If you are using a 4, I would advise against it. My daughter's was pretty sluggish with it before we traded it in to AT&T. The 4S will run iOS8 about the same as iOS7. Both of my boys have been running it since the day it was released with no problems. Here is a little help to make it happen even if your phone is full of photos, podcasts and playlists. I know this seems counterintuitive to what you've heard and gotten used to over the last couple years, but you can sitll plug your phone into your computer and update your software in iTunes. Part of the reason that the OS update requires so much space is that when you update over the air, the new software has to be downloaded to your phone before it can replace the existing OS. When you plug into the computer, the new OS is downloaded to your computer's hard drive first and then installed on your device over the lightning cable. Viola! No need for you to delete anything. I was able to update 2 different iPhones that had less than 500mb available this way the first day that iOS was available. Ok, so this one requires plugging in your device too, but this is a better long term solution and wil also make sure that you have all your photos on your computer where they aren't succeptible to an accidental swim in the toilet. (Little plug here though- You do have a backup of the computer don't you?) The first step is determining if you really want, or need to keep some photos on your phone. Are the important ones already online somewhere where it's easy to get to them or do you need them to be in your camera roll? Do you already have Photostream turned on? If you do, the last 1000 photos you took with your device have already been uploaded to your iCloud account. If you don't already import photos from your phone, it's actually pretty easy. If you are using a Mac, iPhoto is probably your best option and will likely just open automatically when you plug your phone in. Once you are finished loading the photos, you can choose to delete them from your device. If you're using a PC, you can use any photo management application or you can just follow the prompts that appear on your desktop in the Autoplay dialog box once you plug the phone in. But I want All the Photos On My Phone! I know the second option may not sit well with those of you who just want to always have all the photos you took with your phone, on your phone. There are a couple ways you can accomplish this and not run out of space on your phone. Buy an iPhone with more capacity. Simply put, if you want them to always be on your phone, this is the only always-on, binary way to do it. There are a couple ways to auto upload and keep all of your photos accessible over the web, even if you delete them from your device. The caveat is that is- you won't have access when you are offline. I'll write a separate post about that. I hope this helps you keep things up to date and I'm happy to help out if you have any other questions. As I've mentioned before on the site, I own and love the Sony Zeiss 24mm f/1.8 lens. It is made for the smaller APSC sensor on the Sony NEX series plus the newer Alpha A6000 and its siblings. When I decided to upgrade from the NEX 7 and purchase the full frame A7, one of the concerns and bummers was that this great lens doesn't cover the full frame Sony sensor. I noticed awhile ago that the back of the lens has a plastic baffle that is held in place with 3 small phillips head screws, but I didn't take it off and instead scoured the internet to see if someone else had taken it off. I was wondering if the lens might give full or even slightly better coverage without it. I'll spoil the suspense. You don't get full coverage. I didn't expect to, but I hadn't seen anyone mention that there is also a sticker ring on the end of the baffle that makes the image circle even smaller. So, if you own this lens, here are some photos that show what you get if you take off the sticker or the whole baffle. It peels right off with the adhesive intact and I just stuck it to the inside of that lens' rear cap in case I ever want to put it back on. As you can see, taking the baffle off makes a difference. You don't get full sensor coverage, but it does give more coverage. In addition, you can also see that I put the baffle back on, but without the sticker. Though the plastic baffle makes for sharper, edges to the shadow, the coverage is almost identical. For me, the tradeoff is worth it to protect the internals and exposed circuit board that lies just underneath the baffle. So, you still have to do something with that black mess at the corners, but that's easy in Lightroom. I took a similar photo with my kit 28mm FE lens at its widest setting and then cropped the photos from the 24mm lens to a tiny bit larger field of view than the 28mm I left a little bit of vignette in the corners so you can see what you have to work with. With the sticker removed, I find that I can get the most coverage area with a 4x5 crop and the resulting image is roughly 17.9 megapixels. If I want to stick with a 2x3 format, it comes in at 16.9megapixels. In addition if you are cropping to 4x5, the top and bottom borders are roughly what you see in-camera, which makes composition easier. So, you end up with about a 28mm equivalent, and the aperture of 1.8 still gives nice performance in lower light situations. I know for a lot of folks this might seem like a lot of hassle, but I'm simply not ready to get rid of this lens yet. I'll start this with a preface- Gear doesn't make the good photos- your vision is responsible for that. By now, you have heard this plenty of times so there's your reminder and lets just leave it at that. Another thing that I have found to be true - There is great enjoyment that comes from using great cameras, lenses, film and software. I also believe in balance. I don't believe in hanging on to gear I don't use so any piece that I add better be efficient and hold its own. Here's what I'm using: I shoot very casually with my iPhone. My dedicated cameras over the last few months have been a Interchangeable lens Mirrorless model and a vintage film SLR. They are roughly the same size, and size is a major factor in why I've chosen them. As of today the Sony NEX 7 and the Sony Zeiss 24mm f/1.8 is my main kit. It’s a great 35mm equivalent set up. It allows me to know that there is literally no better lens I could put on my camera and very few Crop sensors that will give better performance. In fact, 1 year ago, the only way to get better technical images was to move to a Nikon D800- or perhaps a Sony RX-1. I also regularly use the Sony 50mm f/1.8 and the Sony kit zoom lens when my 24 just isn't wide enough. I also use a 35mm film Olympus OM-1 that -as far as I can tell- was made when I was about 4 years old. My favorite lens is a wide angle 24mm, f/2.8. On this camera the 24 has a wider field of view as it is projecting the image onto a 135mm "full frame" of film. The Sony uses a sensor that is smaller, so the image from the same focal length is smaller. Today I have two choices that I’ve been contemplating. First of all, I love this focal length. For that reason, I’ve been considering the Fujifilm X100S. It has the same 35mm equivalent focal length and the same size APS-C sensor as my NEX 7. There are so many people that are absolutely in love with the Fujifilm cameras for their handling, and the rendering of the X-Trans Sensor. The X100s' fixed lens design makes it significantly smaller than my Sony combo, which makes a compelling argument for getting one. It will fit right into my daily bag or jacket pocket without the need for a case. There is the thought that the Fuji might make my current kit sort of redundant and that one of them would get far less use. I really like the Sony camera line, the feel in hand and the photo making process with my NEX. I know that the Sony A7 full frame will be a natural and familiar upgrade path and will give even greater low-light, shallow depth of field and weather proof(ish) performance. The A7 body is about $400 more than the X100s, but that doesn't include lenses that will cover the full frame sensor. The A7 would mean a move to a new lens or set of lenses that are large enough to cover the full frame sensor. I can use my current NEX lenses with it, but they would work in crop mode, giving significantly lower resolution than on my NEX 7 and negating some of the benefits of the larger sensor. That means that even after I save up the money to purchase this body, it will work best with my older manual OM lenses until I can afford to purchase an FE prime. I could sell some or all of my current E mount lenses ( 50mm f/1.8, kit 18-55, Zeiss 24, f/1.8) to buy one of the FE Zeiss lenses or a manual focus Voigtlander Prime. Both of these cameras serve different purposes. Because I feel so strongly about Sony as a company and an innovator, I think that I’ll likely move to the A7 (or more likely its successor) kit eventually. To me, the image quality and the raw malleability and information contained in the files is astounding. It is the way of the future. Although the pocketable Fuji kit is a little redundant paired with my NEX 7, it is a good compliment to the full-frame A7. So, it really comes down to strategy. For now, I've decided to wait on the Sony Full frame upgrade and add the Fujifilm X100S. In fact I ordered it last Saturday and it arrived 2 days ago. It’s time to just end these stupid legal word games and say what we all already know: internet access is a utility. A commodity that should get better and faster and cheaper over time. Anyone who says otherwise is lying for money.